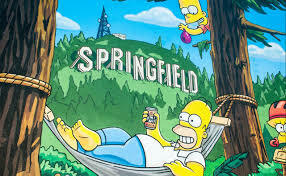 Welcome to the city of Mike Groening’s lionized muse- The setting based upon the popular works of The Simpsons- Springfield, Oregon. The megalopolitan is decorated in all of the amenities you might expect from the region’s second-largest city, including a sizable mall, a wave pool, a regional sports center, city parks, and many bike paths. It is, in innumerable ways, not unlike it’s western counter-part, Eugene. Along with a quaint Main Street painted with murals and small antique shops, vintage housing, and museums, Springfield also hosts the annual Dirty Dash- a 10K mud run in which the runners must maneuver through stacks of soggy, dirty, fun. Among other popular venues, Springfield’s agricultural post includes Dorris Ranch, America’s oldest operating commercial filbert orchard. To see all available Springfield real estate, click on the link above, or contact the Song Real Estate Team today!